Durable, corrosion resistant decorative coating for ferrous and non-ferrous metals, certain plastics and wood. The decorative hammered appearance is smooth to the touch and sheds water well. It is available in a variety of popular colours. Can be applied directly onto rusty metal. No need for primer or undercoat. 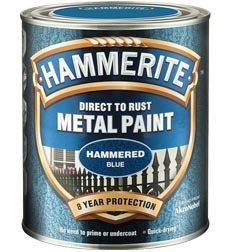 Can I re-use Hammerite Paint? 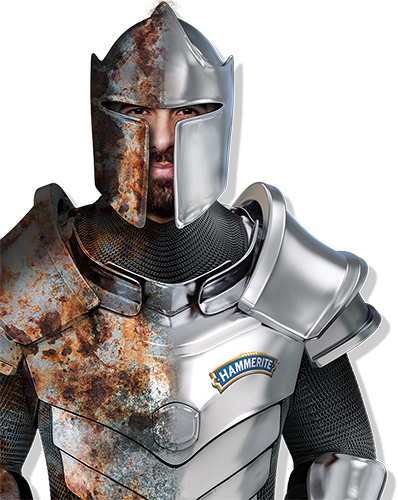 Hammerite Paint can be re-used up to 2 years after first opening the tin. 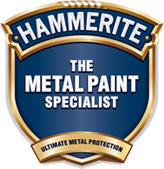 If you wish to keep the paint that you have not used, then replace the original lid firmly back on the Hammerite can and store in a dry well ventilated area away from a heat source.